Hello! I’m Alice. The Alice behind the shop Curious Alice Studio. I am the maker, creator and designer of hand made items such as silk scarves, lace tops aprons and baby bibs. I am based in the center of Brighton in my studio by the sea. Each item is sewn in my studio before being taken home to be dyed by hand in my cellar where I can get messy. I like to use beautiful fabrics such as lace, silk, viscose and cotton. I started Curious Alice Studio when having graduated from university I decided to experiment with some dye and silk. Having fallen off the bandwagon when it came to creative fun after having completed my degree in Surface Pattern Design at Swansea Metropolitan University, the experience of dying the silk fabric led to a reawakening my joy for textiles, fashion and making. I have a love of natural fibers such as silk and cotton. I love the making process, hand dying silk, creating new colours and coming up with new designs. I love the frill of creating something new and seeing it to the end. I have been working on Curious Alice Studio for five years now while teaching after school classes in sewing and fashion. I would love to be able to push myself further within my practice and be able to employ someone to work with me on my brand but at the moment I am enjoying following through the creative process and making beautiful clothing and accessories for people to wear and enjoy. I would describe my style as every day affordable luxury. I want my brand to bridge the gap between everyday clothing and special occasion outfits. I hate the idea of clothes being saved for best and want to make clothes you feel comfortable wearing and enjoying in your day to day life. I don’t think that lace or silk means you can’t enjoy it in your day to day wardrobe. I love creating clothes and accessories that reflect the seasons and use colour to bring a pop to any outfit. I like to keep an eye on the current trends but I am much more interested in creating more timeless pieces which you will treasure for a long period of time. I want to help create a wardrobe which lasts and inspires you for years to come. I hate the idea of throw away fashion and want to promote the idea of fashion and clothing being an evolving thing where you wear items you’ve had for a while in different ways to help evolve your own personal style. I love that each day is different and produces new challenges. I like variety in my day so having a sewing day followed by a messy dye day keeps me on my toes. I really enjoy planning out my time and trying to work to deadlines. I get a real frill from meeting a deadline and keeping on task. The most enjoyable moment is when something is finished and I get to see how the hours of pattern cutting, toiling, dyeing and photographing comes all together and makes everything look real. From having an idea in my head and then seeing it on a model. It’s the best feeling! I’m really excited to be doing this fair. It is my first fair in a few years! So I’m excited to meet people and have a lovely day. You’ll see a bit of everything I do. I will have a selection of lace tops for you to see and you will be able to order your size and preferred colour for free shipping if we don’t have your size and colour in stock. 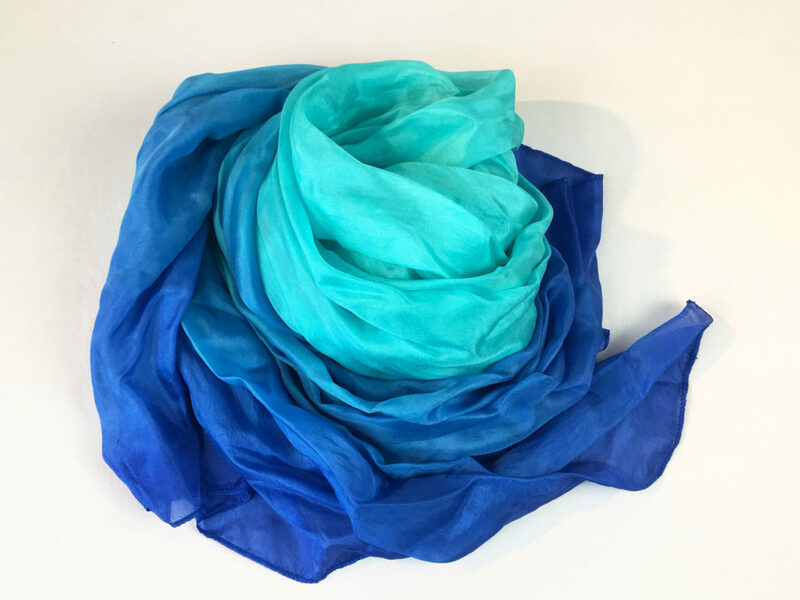 You’ll see a selection of hand dyed silk scarves in a variety of colours as well as a variety of discontinued items on sale such as baby bibs and aprons. 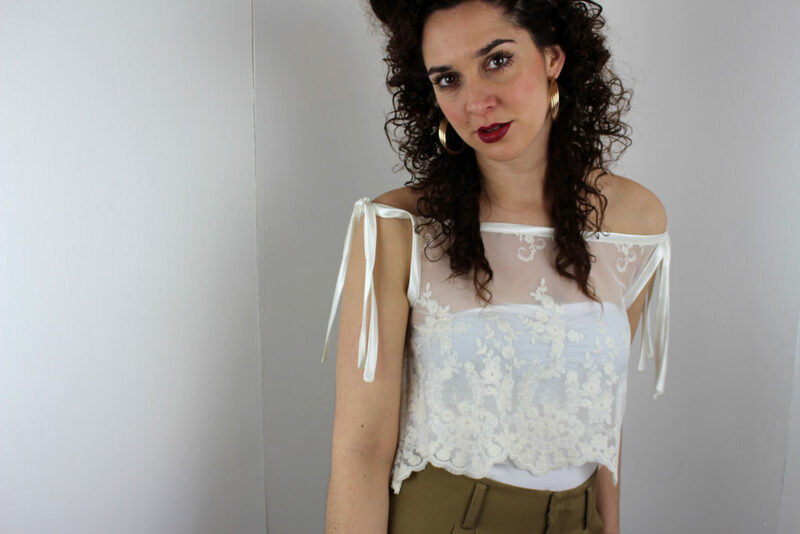 Come and say hi as I love chatting about silk and lace and making something just for you. 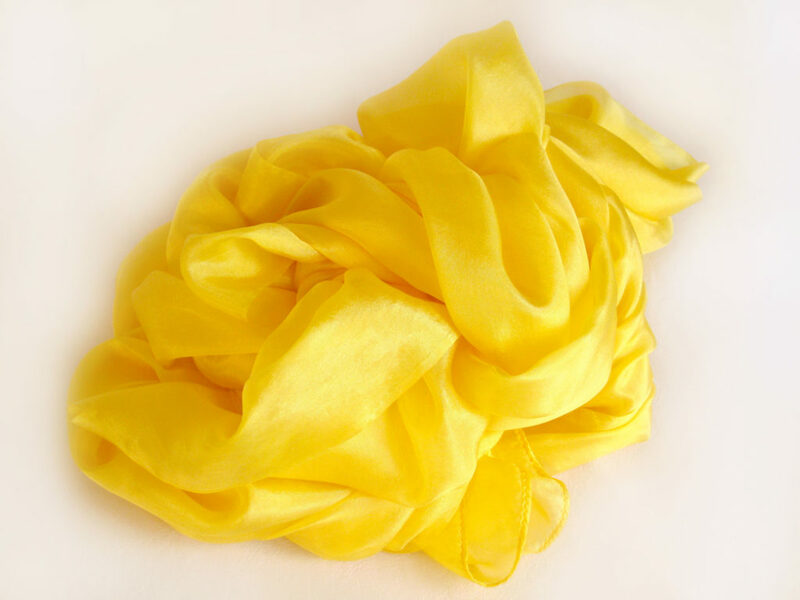 My best seller would have to be the silk scarves I hand dye. Online these get a lot of attention and they look so lovely when out and about. In person, it is normally the lace tops I have that get the most attention. People seem to be drawn to them which is always a good thing! So many plans! So little time! I would like to have a full collection of garments that can be worn and enjoyed together. I have grand ambitions to make dresses and to also design my own fabric and have it printed. So many ideas. I would love to be able to employ someone to help me weekly. It would be amazing to have someone here who could help me produce new items so I could work faster on producing new garments and concentrate on photo shoot planning and promotion. Not really, I do like the old “Time and tide wait for no man” which I need to get off my arse and get going with a task on those lazier days but I also like the simple “tomorrow is a new day”. I use that as permission to leave today behind and face tomorrow fresh and ready to tackle what maybe didn’t go to plan today. Usually I’d say having some time off (from part time teaching) and Easter cake but this year my dad and I did sugar free March and missed out on pancake day so we are doing pancake day this Easter so as not to miss out. I think that’s what I’m looking forward to most this year! Sugar and lemon pancakes. yum yum!